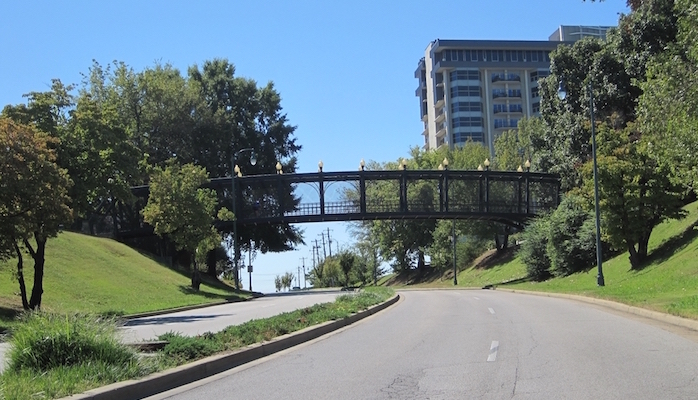 This long path bordering the Mississippi River is one of the gems of downtown Memphis. It covers a roughly 3 mile loop, starting from Martyrs Park in the south up to Union Ave (near downtown). For most of the route, the looping path runs on both sides of Riverside Drive, so you can start your circuit wherever it’s convenient. Beale Street Landing, which looks out on Joe Curtis Point, is perhaps the most picturesque (and crowded) section of the Riverwalk, but Ashburn-Coppock Park and Martyrs Park to the south are lovely grassy knolls to add into your loop. For longer add ons, see our Downtown Runseeing and Harbor Town routes. 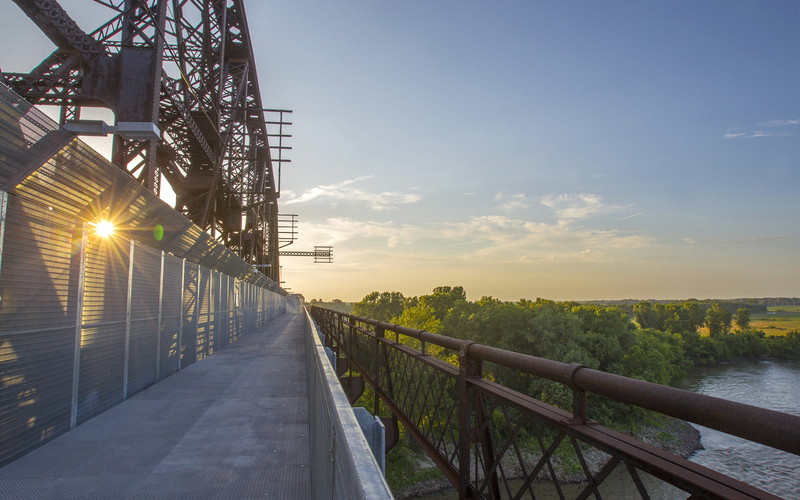 For a longer run, hop onto the Big River Crossing, a recently completed pedestrian path alongside the Harahan bridge over the Mississippi River. The crossing is about 1 mile, where you will you will find yourself in Arkansas. Access the path at southern end of Riverwalk, at Riverside Dr. & Channel 3 Dr.